I've recently been creating some content about wait stats analysis and I think it would be really interesting to see what kind of waits people are seeing out there in the wild. Hopefully it'll also introduce a bunch of people to the waits-and-queues performance troubleshooting methodology and how it can be really useful to them. Run the T-SQL query from the end of this post. It's completely benign and only reports on statistics that SQL Server is already gathering. It will not cause any perf issues on your production systems. Look at the top WaitType and fill in the simple survey below. If your top wait isn't listed, click on Other and cut-and-paste the top WaitType into the box provided. The free survey system only allows a single vote per IP address – if you have any other results, send them in email (mailto:paul@SQLskills.com?Subject=Wait stats) or attach a comment below. In a week or two I'll report on the results. It would be great to get a few hundred responses. In November we're doing T-SQL Tuesday a week early (Tuesday November 2nd) so that it doesn't clash with PASS and I'll be your host! 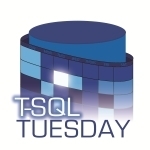 If you haven't seen it yet, T-SQL Tuesday is the brain-child of fellow-MVP Adam Machanic (blog|twitter). It happens once a month on the 2nd Tuesday (different this month) and is hosted by a different person in the SQL community each time. The idea is that it's kind of a rallying point to get a bunch of people to blog about a particular topic on the same day, giving a wide and varied set of opinions and interpretations of that month's topic. The hoster then posts a wrap-up commenting on all the contributions. I think it's a great idea and I contribute whenever I have time. What is the topic for November? This month I'd like to step back from the deep technical stuff and ask "why are DBA skills necessary?" I could go on for hours… I'm really looking forward to seeing where you take this topic and I'm expecting some great posts. As with any organized event, there are inevitably some rules that help make things run smoothly. Your post has to link back to the hosting blog, and the link must be anchored from the logo (found above) which must also appear at the top of the post. NOTE: THIS DOES NOT DO A 'TRACKBACK' – YOU WILL NEED TO ADD A LINK IN A COMMENT ON THIS POST. Tweet using the hash tag #TSQL2sDay to follow links and other relevant conversations. Consider hosting T-SQL Tuesday yourself. If you’re interested let Adam Machanic Know. If you’ve participated in two T-SQL Tuesdays previously and you don’t let your blog go stale (blog once a month for the last six months) then he’ll put you in the rotation. Don't fret about the rules, it's nothing too complex. If you're having trouble linking properly on the day, drop me an email (paul@SQLskills.com) or tweet (@PaulRandal) and I'll help you out – I'll be watching things all day. As I said, I'm really looking forward to seeing a really diverse set of posts and I'll very quickly post a long summary with lots of editorial commentary and opinions too.